MANSFIELD — Fans of Stephen King’s writing now have an opportunity to immerse themselves in his literature, studying the iconic author and the movies sparked by his books. 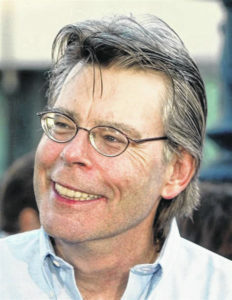 The Stephen King Film Festival takes place in Mansfield,the very location where one of his most famous movies based on his work was filmed. 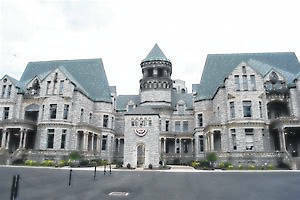 One of the most haunted and recognizable places in all of Ohio, the Ohio State Reformatory in Mansfield gained much of its notoriety not for its own historic past, but its role in the Stephen King novella that produced “The Shawshank Redemption.” Twenty-four years after the release of the No. 1 movie of all time (according to IMDB), King fans now can celebrate his work in Mansfield June through December, 2018. The Festival includes screenings of some of the most renowned movies based on King’s novels and novellas at Mansfield’s historic Renaissance Theater. Each screening begins at 7 p.m. and will be preceded at 6:30 p.m. by a talk led by a noted authority on Stephen King’s writings and their impact on literature and society. After each discussion and film screening, attendees are invited to head to nearby Phoenix Brewing Company for craft beer tastings, movie trivia, and further discussion of film and literary works. The brewery offers Redemption IPA, among others. A destination unlike any other, Mansfield and Richland County, Ohio offers unusual travel adventures and experiences, such as spending the night in a haunted former state prison where Hollywood blockbuster movies are shot, world-class motorsports, skiing, hiking, biking, golf, and loads of other outdoor adventures attract families and visitors of all ages. Complete visitor information and free visitor guides are available at DestinationMansfield.com.